Etiam ultrices orci leo, et feugiat eroet. Proin ligula justo, iaculis quis ornare. Get the proper marketing your corporation needs from SEO Optimizers. We rank your website organically in Google, Bing, and Yahoo using white hat techniques. Professionally designed websites that are mobile and responsive. What Are The Best Times To Post Content On Social Media? Brandon is such an amazing SEO coach. His lecture is very easy to understand while it’s extremely informative! I am happy that I took his course! First off, I have been doing web development for about 20 years now. All of the work I have done was as a webmaster who engineered sites. So, it is safe to say I understand the subject matter at least a little bit.Today I went to a workshop put on by SEO Optimizers on an invite from someone I know. I was totally impressed with what I heard! As a webmaster I would have to make sure that what made for my clients showed up in search results, but this guy today took it to a whole new level and from a perspective that I never had before.From start to finish the workshop talked about everything that I had ever had to deal with as a webmaster, but in far more detail. It kind of made me feel a little embarrassed that I had been in the industry so long and couldn't verbalize as well as what I heard today by even a tenth.If you do go to a workshop and lack savvy, bring a web dev with you. Not only will your dev verify what you are hearing as correct, but your dev will get red pilled on SEO. You need your devs to get that and SEO Optimizers are the ones to do it. I took a workshop that Brandon taught about SEO optimization and was very impressed. Not only did he teach me immediate, actionable things I could do to make my website more visible, his accessible style and obvious passion for what he does was apparent. I would highly recommend SEO Optimizers! I took Brandon's General Assembly SEO Bootcamp class and was totally blown away. He is definitely an expert in this field, and has so much knowledge that you cannot find just by reading articles or by doing Google searches. Highly recommend! Brandon's very knowledgable, and genuine. Multiple members of our staff have attended the "SEO 101" by Brandon over the past two years - great! I live in Santa Monica and was looking for a local search engine optimization company and found SEO Optimizers in Los Angeles. 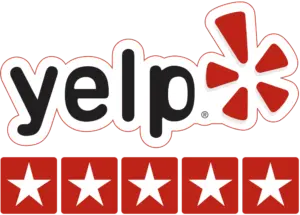 I contacted them after reading all the positive reviews on Yelp and hired them to help with my organic SEO to rank me higher in Google. After using their services for 3 months I noticed a significant increase in my ranking not only in Google, but Yahoo, Bing, and from other traffic sources as well. I strongly recommend them to anywhere in the LA area looking for a reliable and trustworthy SEO company.